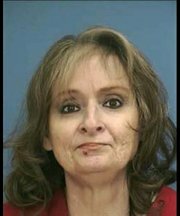 In a case in which the state's Attorney General had asked for an execution date of March 27, the Mississippi Supreme Court instead threw out Michelle Byrom's murder conviction and death sentence and ordered a new trial just four days later. The case was plagued with numerous problems, including inadequate representation, critical evidence not presented to the jury, confessions by another defendant, and the prosecution's lack of confidence in its own story of what actually happened. In its order reversing the conviction, the court described Byrom's case as "extraordinary and extremely rare." Prosecutors said that Byrom hired a friend of her son's to murder her husband, despite several confessions from her son, who said he killed his father because he snapped from years of abuse. The jury that convicted Michelle Byrom never heard evidence from a forensic psychologist who had told the judge that Byrom's son had confessed to the murder, nor were they presented with two letters from Byrom's son describing why he murdered his father. Byrom's son and his friend pled guilty to conspiracy in the crime and are now free after serving time in prison. David Voisin, an attorney advising Byrom's legal team, said, "We are grateful to the Mississippi Supreme Court in recognizing the extreme injustice in this case and taking the swift and extraordinary step of vacating Michelle Byrom's conviction so that she can have a fair opportunity to have her case heard in court." (E. Le Coz, "Mississippi woman on death row for over 13 years gets new trial," Reuters, March 31, 2014). The Mississippi Supreme Court also rejected the state's request for an execution date for Charles Crawford, noting that there were unresolved issues in his case. See Arbitrariness and Innocence.